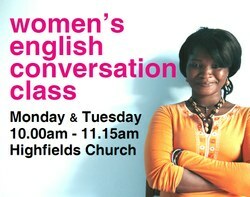 A great opportunity to improve your english in a relaxed and friendly atmosphere. 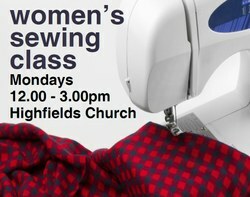 An opportunity to learn new sewing skills and make friends in a relaxed and friendly environment. 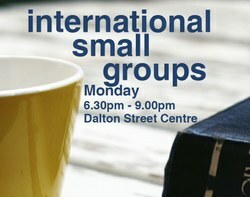 The best way to belong to Highfields Church is to join our Internationals Small Groups where we study the Bible, help each other to apply it to our lives and pray together. If you are new to Christianity, or would like to know more about what Christians believe, we have beginners small groups where you can learn more about Jesus and ask any questions you may have. 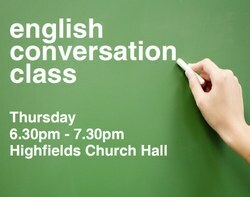 Every Thursday between 6:30pm and 7:30pm we hold English Conversation Classes at Highfields Church. There are two classes, one for beginners and the other for those slightly more advanced. 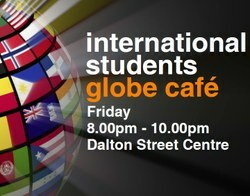 The evening is designed to be a place for internationals to simply come any time during the evening to relax at the end of a long week. We sit and talk, food and drink is provided and many people play games. For more information see the Highfields Internationals web site.